Repurposing content isn’t always the easiest task if you don’t know where to start. How can you repurpose your content to get maximum exposure? 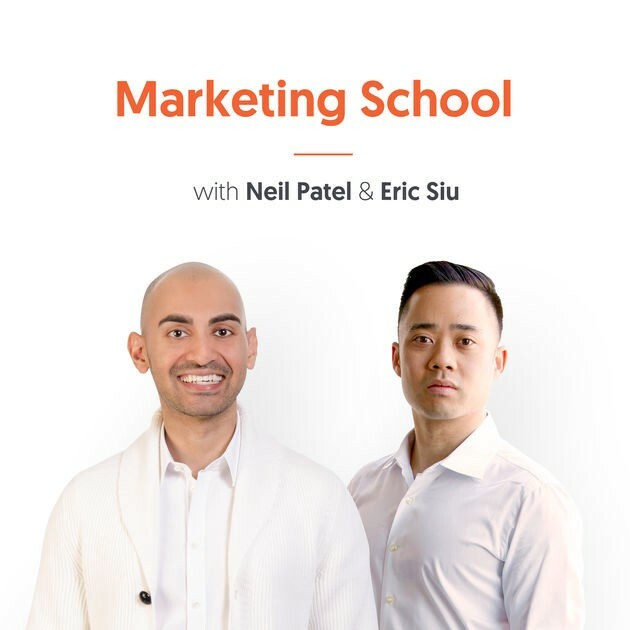 Neil Patel and Eric Siu take you through their 7 tips to distribute your content via different channels in creative ways. Consider using platforms that publish your content to all of your channels at once. Break up large pieces of content and publish the new content from the smaller pieces. Consider partnerships, where other people take your blog content and put it on their blog. Use your content for speaking engagement. Today we’re going to talk about seven ways to repurpose and your content. Why you should be repurposing your content? Let’s look at Neil. Sometimes, he’s spending a couple hundred bucks, or a couple thousand bucks for a piece of content. If you’re going to do something like that, why shouldn’t you maximize the value or maximize the the legs on a piece of content? We do this podcast, and we use Libsyn. It will push this to youtube, LinkedIn and Twitter. It will push this to all of our channels at once. From this, we’re getting found in all these other areas, so publishing to multiple channels at the same time. You can also use a tool like Edgar.com, as it’s going to maximize the mileage on your piece of content. The other thing you should be doing, is reposting your content. Every time I read a blog post, I go on linkedin and put the title of the blog post with the first few paragraphs, and then I add a ‘read more’ link, that goes back to the blog post. This helps me get more traffic and more eyeballs on my work, and helps me build my Linkedin community at the same time. You can actually break up content into five or six pieces. Basically, take a video or a podcast episode if it’s long, and slice it up into different ones. Rename each post and optimize it for YouTube. So, one piece of content becomes six pieces of content. If you’re going to repurpose a popular blog post, turn them into the podcast. You don’t want to do it just to reuse the content, **you want to reuse the most popular content. **We base it on social shares, so I’ll go to my facebook fan page and see what got the most social shares. That’ll tell us what to repurpose into video podcasting etc. Put your content on SlideShare for example. So, if you have a really long post, figure out how can you slice it up, and put it on to SlideShare. Or, if you have a good infographic, put it on SlideShare as well. SlideShare is owned by Linkedin. Oftentimes, people have driven a couple million views for their slides. So, if you have something that’s really good why not try to repurpose it especially you want to get in front of a B2B audience. When I guest post for Entrepreneur Magazine, a lot of times that same post, goes onto business insider. The same goes with your own posts. You can do partnerships, where other people take your blog content and put it on their blog. You get all the SEO juice and it just gives more eyeballs. You can also do that with your webinars. If you do webinars, you can find people to partner with, and reuse the exact same webinar from before. By doing a joint promotion, you can then appeal to their list. Then, your webinar can say, ‘brought to you by examplecompany and mycompany. This helps us get more eyeballs. Use it for speaking engagement. So, if you’re going live, and you have really good content, that’s proven itself already, and performs well on facebook and analytics; Why not take that content, and repurpose it into a talk? It’s proven content, so why not take it out there? Most people haven’t seen your stuff so it’s okay to reuse it sometimes. Sometimes, we’re talking about the same stuff in a different way.